Since Fahd’s ascent to the throne in 1982, the most influential clan of the Al Faisal branch of the Al Saud family had been the Al Sudairi [Sudeiri], known by the patronymic of Fahd’s mother [Hussa bint Ahmad Al Sudairi, known later as Umm Fahd]. Among the sons of Ibn Saud, the so-called Sudairi Seven (King Fahd along with princes Sultan, Abdel-Rahman, Nayef, Turki, Salman and Ahmed, who are full brothers) hold positions of significance, although neither Prince Abdel-Rahman nor Prince Turki held formal office. Fahd had seven full brothers, including Minister of Defense Sultan, who was second in the line of succession, Minister of Interior Nayif, and Governor of Riyadh Salman. Sultan and Salman were considered to be Fahd’s closest political advisers. In 1983 Fahd appointed one of Sultan’s sons, Bandar, to be the Saudi ambassador to the United States. Another of Sultan’s sons, Khalid, was the de facto commander of Saudi armed forces during the Persian Gulf War. At least once a week, the king and his full brothers met for a family dinner at which they shared perspectives about national and international politics. In addition to his full brothers, seven of Fahd’s half brothers were sons of other Al Sudairi women whom his father had married. As the sons of Fahd and his brothers matured and assumed government responsibilities during the 1980s, some Saudis began to refer to the clan as Al Fahd instead of Al Sudairi. 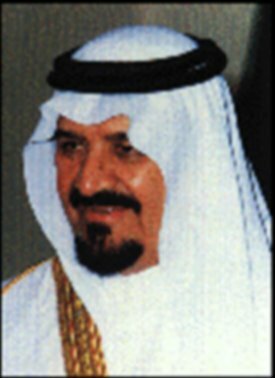 Prince Sultan bin Abdul Aziz Al Saud, Saudi Crown Prince, Deputy Premier, Defence and Aviation Minister and Inspector General, died on 22 October 2011. Crown Prince Sultan had been in the United States for medical treatment since June 2011. His death, according to some reports, placed his brother Prince Nayef in line to succeed King Abdullah. Prince Sultan was born in Riyadh in 1928, and received his early education in religion, modern culture and diplomacy along with his brothers at the royal court. Prince Sultan was appointed Governor of Riyadh in 1947. Much of his time, however, was taken up in assisting his father in the setting up of a national administrative system based on justice and the implementation of Islamic Shari’ah law. HRH Prince Sultan became Minister of Agriculture in 1953 and Minister of Communications in 1955. 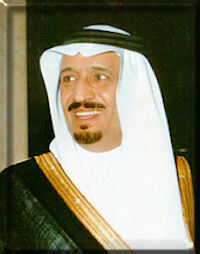 In 1982, on the accession of King Fahd, Prince Sultan was named Second Deputy Prime Minister. 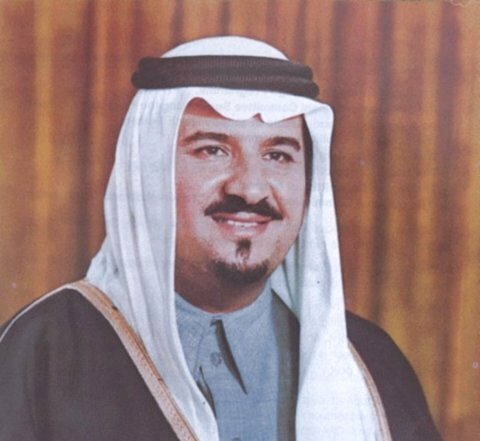 Prince Sultan began public service when he was appointed Governor of Riyadh in 1947. In 1953, when the Council of Ministers was formed, he became Minister of Agriculture. In 1955, he was appointed Minister of Communications in which position he made a major contribution to the development of the Kingdom’s road and telecommunications networks. At that time, he also oversaw the construction of the Kingdom’s rail link between Dammam and Riyadh. In 1963, Prince Sultan was appointed Minister of Defense and Aviation, an appointment he still holds. In this role, Prince Sultan has presided over the development of Saudi Arabia’s army, navy and airforce, providing the Kingdom with a modern, well-equipped and well-trained defense capability, based on a network of military cities across the Kingdom. Prince Sultan is also Chairman of the Board of Saudi Arabian Airlines, the Kingdom’s national airline. In addition, Prince Sultan is Chairman of the Higher Council for Islamic Affairs, a recently-formed organization dedicated to the service of Muslims and Muslim minorities throughout the world. One of Prince Sultan’s sons, Bandar, held the internationally prominent post of ambassador to the US, while another, Khalid, had been deputy defence minister since January 2002. Prince Sultan denied the United States use of Saudi bases to stage military strikes on Afghanistan after the September 11 attacks, stating that his government “will not accept in [Saudi Arabia] even a single soldier who will attack Muslims or Arabs.” Years before, on the same way, Saudi Minister of Defense Prince Sultan stated his country would not permit allied aircraft to launch preventive or major retaliatory strikes against Iraq from bases in Saudi Arabia. Prince Sultan has made statements against Jews for years. Following a ceremony at the Saudi Public Institution for Military Industries in June 2002, when asked about U.S. criticism of Saudi Arabia, Prince Sultan replied to the Saudi daily Al-Sharq Al-Awsat, “It is enough to see a number of congressmen wearing Jewish yarmulkes to explain the allegations against us.” Subsequently, the Saudi royal family website ‘Ain-Al-Yaqeen, quoted Prince Sultan as saying that the U.S. media, which is “under the Jewish influence,” is using the U.S. reform initiative to widen the gap between Arab countries and the U.S.
Crown Prince Nayef bin Abdul-Aziz al-Saud died 16 June 2012. News reports said he died in Geneva, where he had recently traveled to seek treatment for an undisclosed illness. He was in his late 70s. Prince Nayef, the long-time interior minister, had been next in line to the Saudi throne. Soon after the death on 22 October 2011 of Prince Sultan bin Abdul Aziz, Prince Nayef bin Abdulaziz Al-Saud, another half-brother of King Abdullah and one of the Sudairi Seven, became the crown prince. The crown prince is chosen by the Allegiance Council, a group that includes relatives of the crown prince. His Majesty Prince Naif Ibn Abdul Aziz Al-Saud was the Second Deputy Prime Minister and Interior Minister of The Kingdom of Saudi Arabia. In AH 1430/2009, the Custodian of the Two Holy Mosques King Abdullah Bin Abdulaziz appointed Prince Naif bin Abd al-Aziz Al Saud Second Deputy Premier, at which time Prince Naif was a spry 75 years of age. He had been interior minister since 1975. Prince Naif held some of the highest and most important positions in the Kingdom of Saudi Arabia for many years. These include the following: Representative of the Principality of Riyadh 1951-1952; Governor of Riyadh, 1953-54; Deputy Minister of the Interior; Minister of State for Internal Affairs, 1970; President, Supreme Council for Information. His Majesty was born in the city of Riyadh, in the Kingdom of Saudi Arabia, in 1934. He was the twenty-third son of the founder of the Kingdom of Saudi Arabia, King Abdulaziz Bin Abdulrahman Al Saud. One of the powerful Sudairi Seven that dominated the regular armed forces, Prince Naif was the half-brother of King Abdullah, who is a leader of the Shammar branch of the Al Saud, a rival source of power to the Sudairi branch. He was educated in the princes’ school, in addition to receiving instruction from his father and eminent religious leaders. He received his education in the specialist Princes School and continued his studies with high level scholars choosing to specialize in politics, culture and security based sciences. Prince Nayef had been Minister of the Interior since 1975. The Ministry of the Interior oversees public security, coast guards, civil defense, fire stations, border police, special security and investigative functions, including criminal investigation. Successes for Prince Nayef have included placing Mubathath (Interior Ministry) employees in all overseas embassies. In December 1994 Prince Nayef directed the crackdown on fundamentalists and ordered hundreds of arrests. In doing so he had the active support of Prince Turki bin Faycal, head of the intelligence services. Prince Nayef was the supervisor general of the Saudi Committee for the Al Quds Intifada, which helps the families of suicide bombers. 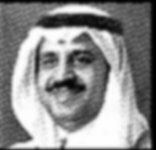 A Saudi government press release from January 2001 notes that the “Saudi Committee for Support of the Al-Quds Intifada”, headed and administered by Prince Nayef bin Abdulaziz, the kingdom’s interior minister, had distributed $33 million to “deserving Palestinians”including “the families of 2,281 prisoners and 358 martyrs.” Other releases from subsequent months detailed further payments to Palestinian “martyrs” totaling tens of millions of dollars. In July 2001 Prince Nayif Bin-Abd-al-Aziz, the minister of interior and the general supervisor of the Saudi committee for supporting Al-Quds intifadah (uprising) directed the committee to disburse an amount of SR5.57m [Saudi riyals] to help the needy people in Palestine. The financial assistance will be disbursed to 28 families of the martyrs, 248 injured people, 232 families whose houses were demolished by the Israeli occupying forces and 29 Palestinian charitable societies in charge of distributing food baskets to the needy people. The executive committee for supporting Al-Quds intifadah has started disbursing the money directly to the needy people in Palestine. A decision to begin issuing women with identity cards was taken for the first time in November 2001. The Directorate of Civil Status issued the first identity cards to women on 3 November, thus making it much easier for women to carry out transactions – financial, legal and social – and is therefore considered a highly significant move. Previously Saudi women were registered on their husband’s or father’s identity cards. The move has the backing of Saudi Arabia’s Interior Minister, Prince Nayef bin Abdulaziz Al-Saud, who had made a series of supportive comments. On March 16, 2002, fourteen girls wre killed and over 50 were injured due to a fire in a girls school in Mecca. The Religious Police ( Mutaween) did not allow the Fire Department to save the girls in the pretext that girls should be covered up and that Men can not enter a girls school. Prince Nayef, Minister of Interior, promised stiff action against these Mutaween. Honorary President of the Council of Arab Interior Ministers. Chief Executive Officer and Chairman of the Board of Directors at Naif Arab University of Security Sciences (NAUSS). Chairman of the Executive Council of Civil Defense in the Kingdom of Saudi Arabia. Chairman of the Executive Commission for Industrial Security in the Kingdom of Saudi Arabia. Chairman of the Executive Hajj Committee in the Kingdom of Saudi Arabia. Chairman of the Executive Commission for the Prince Naif Ibn Abdul Aziz International Award for the prophetic Sunnah and Contemporary Islamic Studies. Playing the major role in establishing Naif Arab University for Security Sciences (NAUSS) which was named such by the Council of Arab Interior Ministers due to the leading role played by His Majesty in supporting this center of security learning since it was first established in 1978. Yearly academic grants provided from His Majesty’s personal wealth to those exceptional postgraduate students at NAUSS who come from all over the Arab world. Establishing the Prince Naif Ibn Abdul Aziz International Award for the prophetic Sunnah and Contemporary Islamic Studies. Establishing the Prince Naif Academic Chair for Teaching Arabic and Islamic Studies in Moscow University. Establishing the Prince Naif Academic Chair for Studies in National Unity in Mohammed Ibn Saud Islamic University, Riyadh, the Kingdom of Saudi Arabia. The crown prince is chosen by the Allegiance Council, a group that includes relatives of the crown prince. With the 16 June 2012 death of Crown Prince Nayef bin Abdul-Aziz al-Saud, the only apparent candidate is Prince Salman [born 31 December 1935], who was promoted to minister of defense in 2011 after the death of Crown Prince Sultan. 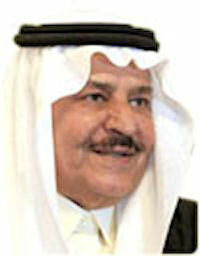 Prince Salman bin Abdel Aziz, governor of Riyadh, arbitrates disputes among the 7,000 members of the royal family. Although he is the 16th eldest, and his brother Prince Sultan would be considered before him, succession is determined by family consensus, and Salman is probably on the short list. Many Saudi businessmen say their choice to succeed Abdullah would be Prince Salman, whose hard-working habits are legendary. Although western diplomats consider him a voice of reason, he was sued by the families of the victims of Sept. 11, who accused hime of supporting charities linked to terrorism. Salman is traditionally more favorable to an agreement with Wahhabit fundamentalists. Prince Salman maintained ties with their leaders, particularly those in the regions of Burayda and Durraya where he travels often. During the war in Afghanistan, he organized transportation for moudjahidines from different Arab countries to Pakistan to help back the most fundamentalist Afghan movements. During the mid-1990s his major opponent was the Minister of Interior, Prince Nayef who is also a Sudeiri. Salman is reported to believe that Saudi Arabia seekings good relations with Iran, and that, although he does not wish to see the Iranians armed with nuclear weapons, he is unable to condemn them so long as Israel is also in possession of them. Prince Salman is reported to believe terrorism and fanaticism have done more harm to Islam than anything else, claiming that 9/11 inflicted the most harm to bilateral relations and Islam. Prince Salman is reported to believe that the pace and extent of reforms depend on social and cultural factors. He is reported to believe that for social reasons — not religions reasons — reforms cannot be imposed by the Saudi Government or there will be negative reactions. Instead, changes have to be introduced in a sensitive and timely manner. Islam had democracy before other cultures because the Qur’an states that rulers must consult others before making decisions. 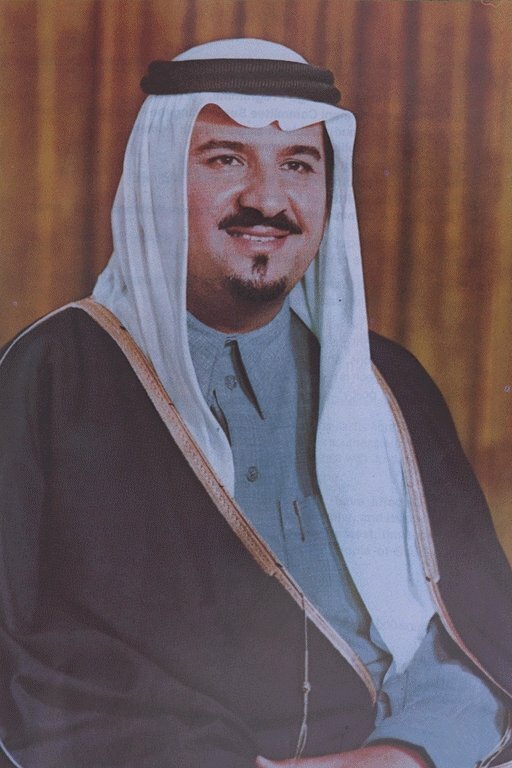 On Tuesday 07/11/1373 H (16/03/1954), Prince Salman was appointed acting governor of Riyadh region. On Monday 25/08/1374 H (April 18, 1955) a royal decree No. 5/10/2/1424 appointed the Prince as Governor of Riyadh region with a minister’s rank. On Sunday 07/07/1380 H (25/12/1960), Prince Salman resigned from the governance of Riyadh region. On Monday 10/09/1382 H (February 4, 1963), Prince Salman bin Abdulaziz was re-appointed as Governor of Riyadh region by Royal Order No. 46, dated 10/09/1382 H.
On 05 November 2011 Prince Salman bin Abdulaziz was appointed defense minister. Salman’s appointment followed the death in October 2011 of Crown Prince Sultan, who had held the position for about 50 years. The decree also split the defense ministry from the aviation ministry and appointed as deputy defense minister Prince Khaled bin Sultan, who served as assistant defense minister to his father, Crown Prince Sultan. 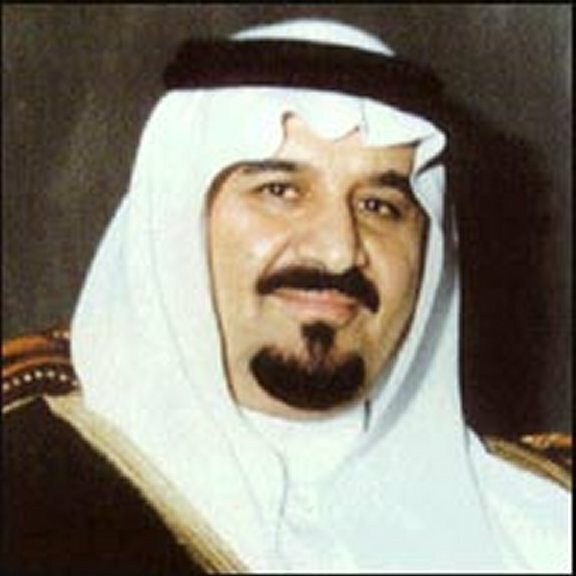 Prince Sattam bin Abdulaziz was named Riyadh governor after long serving as deputy governor under Prince Salman. The post of Riyadh governor is seen as one of the most important in the country and was previously held by both Crown Prince Sultan and Crown Prince Naif, as well as by Prince Salman. 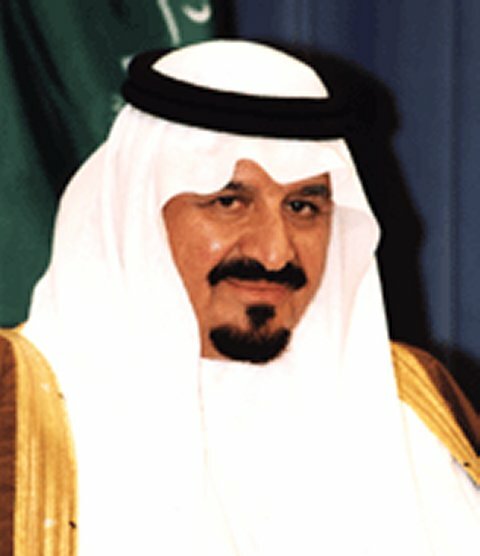 In May 2012 the new Riyadh Governor, Prince Sattam, said Defense Minister Prince Salman was not only an administrative ruler in Riyadh when he was governor of the province [from 1963 AD to 2011 AD] but also a statesman who was always present during the drafting of resolutions related to the region. Prince Sattam was said Prince Salman also deals with foreign affairs according to his country’s best interests. “The best description of Prince Salman, is that he is a government embodied in a man” Prince Sattam said. Born in Riyadh in 1935 (1354 H.), H.R.H. Prince Salman Ibn Abdul Aziz received his religious education at the hands of the highly qualified Ulema and Sheikhs. Wide reading helped him broaden the scope of his knowledge. Prince Salman bin Abdulaziz received his early education at the Princes School, which was established in 1356 H by late King Abdulaziz in Riyadh for the studying of his sons. At the Princes School, which was run by late Sheik Abdullah bin Khaiyatt, Imam and Preacher of the grand mosque, Prince Salman bin Abdulaziz studied the modern and religious sciences. He concluded the holy Quran in this School and celebrated the occasion on Sunday 12/08/1364 H.
H.R.H. chaired a number of commissions and organizations linked to the Riyadh Governorate, including the Higher Committee for the Development of Riyadh City, which is also responsible for providing the city with various services. H.R.H. Prince Salman Ibn Abdul Aziz accorded great attention and care to humanitarian activities. Since 1956 (1376 H.), His Royal Highness chaired several committees to solicit donations for the needy and victims of floods and earthquakes in the Arab and Islamic worlds; in general, He has furthered Islamic causes the world over. Prince Salman chaired the Higher Committee for donations to support Bosnia-Herzegovina and Somalia; he also heads The Popular Committee for assisting Palestinian Mujahideen, the Higher Committee for raising donations for earthquake victims in Egypt and the General Committee for raising donations for Afghanistan. At the level of the Riyadh Region, he chaired the Philanthropic Society in Riyadh and was known for his generous contributions to Mosques and Islamic Centers. Prince Salman chaired the Organizing committee of the Kingdom’s traveling exhibition entitled “The Kingdom Yesterday and Today.” Ever since the exhibition was established in 1984 (1405), he has sponsored its development because he was fully aware of the importance of information. He is also keen to give the world an accurate impression of the all-encompassing progress and prosperity achieved by the Kingdom and to highlight the attention given by the Kingdom to the Two Holy Mosques and Muslims throughout the world. Prince Salman bin Abdulaziz is interested in the humanitarian work since 1956. He has chaired a number of humanitarian committees and domestic organs to collect donations to help the needy, flood-affected people and those who are stricken by earthquakes, disasters in the Arab and Islamic world; and to supports the causes of the Islamic world and advocate for Muslims everywhere. Among the sons of Ibn Saud, the so-called Sudairi Seven hold positions of significance. As of 1999 Prince Abdel Rahman, then 68 years old, was the Deputy Minister of Defence and Aviation and Inspector General. Among the sons of Ibn Saud, the so-called Sudairi Seven hold positions of significance, although Prince Turki did not hold formal office. Prince Turki bin Abdulaziz Al-Saud should not be confused with Prince Turki Al-Faisal bin Abd Al-Aziz Al Saud, who was head of the Department of General Intelligence between 1977 and 2001. Prince Turki Al-Faisal is a son of former Saudi King Faisal, who was assassinated in 1975. Prince Ahmed bin Abdulaziz serves as Deputy Minister of Interior. The head of Saudi Arabian intelligence, prince Turki al Faisal, and the country’s deputy interior minister, prince Ahmed Bin Abdulaziz, travelled to Islamabad on 10-12 July 1996 for talks with Pakistan’s interior minister, Nasrallah Babr, as well as the chiefs of military intelligence. Prince Ahmed bin Abdulaziz Al-Saud should not be confused with Prince Ahmed bin Salman bin Abdulaziz [the first Arab owner to win the Kentucky Derby].